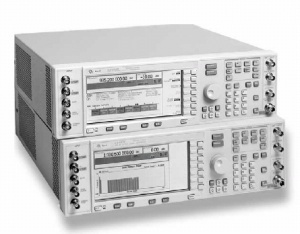 The Agilent E4400B ESG-A RF Signal Generators offer excellent performance with superior quality, reliability and worldwide support -- at an affordable price. The first in a new generation of signal generators, they provide excellent frequency and level control, and wide analog modulation capabilities. They are ideally suited to meet the demanding requirements of today''''''s receiver test, component test and local oscillator applications.